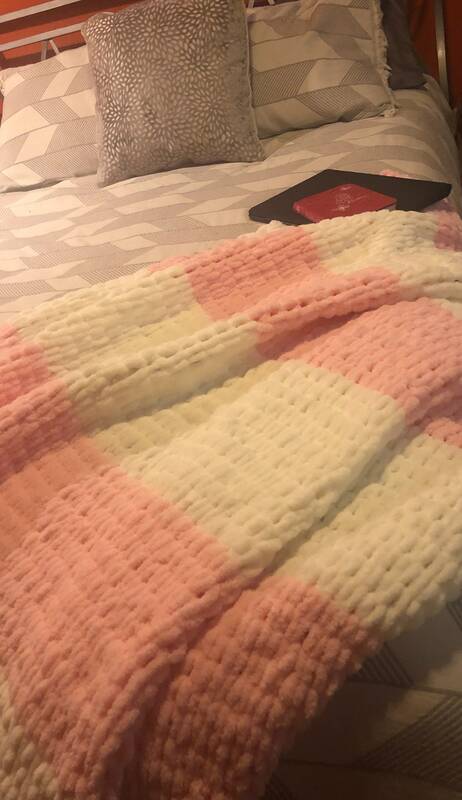 Hand knitted soft, adorable blanket! Can be made in different colors that i can find in the specific yarn. Perfect gift or just a nice comfy blanket for you.